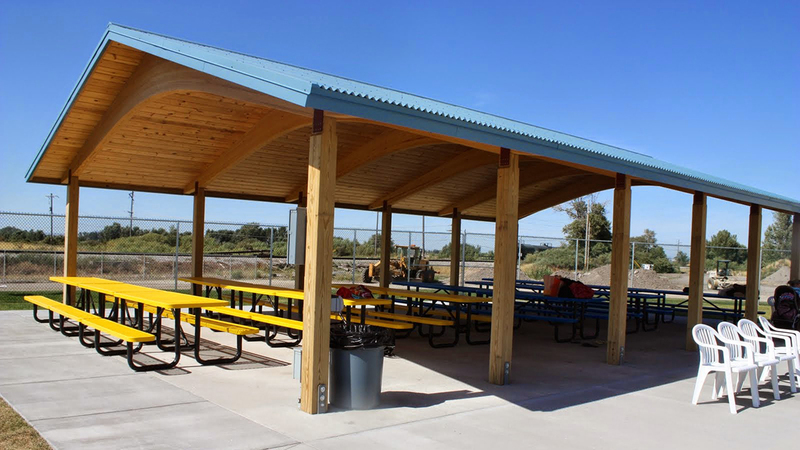 Shelters are an important addition to your recreational area. They are not only visually appealing, but they are functional as well. 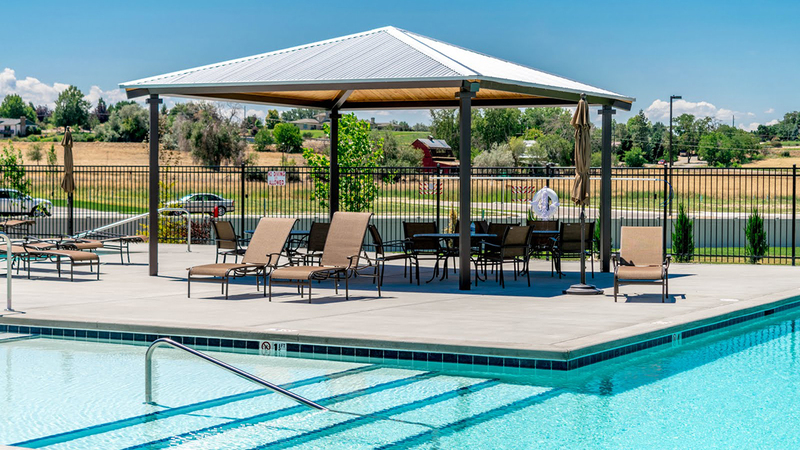 They serve as a gathering place for families and events as well as provide shelter from the elements, whether it be wind, sun, rain or snow. 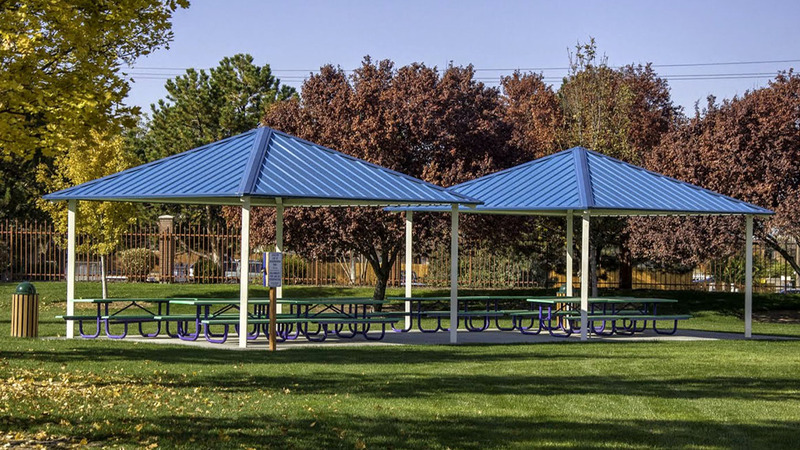 We provide pre-engineered shelters and walkways, which are a great option because they dramatically reduce maintenance and are easily installed. 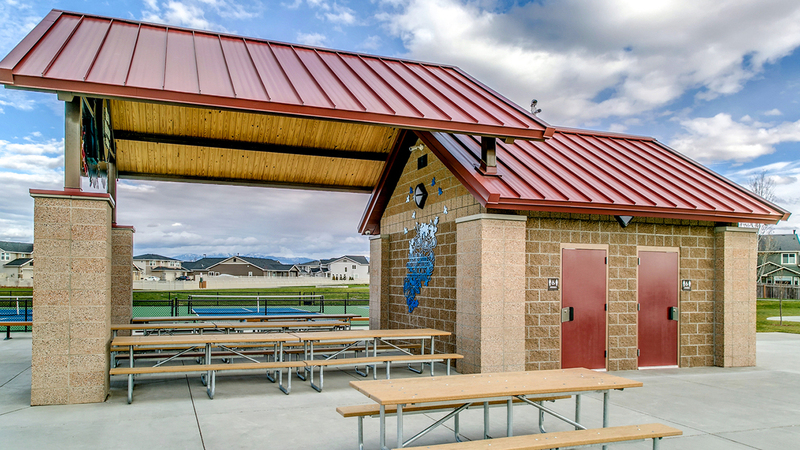 Protect an entire play environment or outdoor living space with our steel shelters. 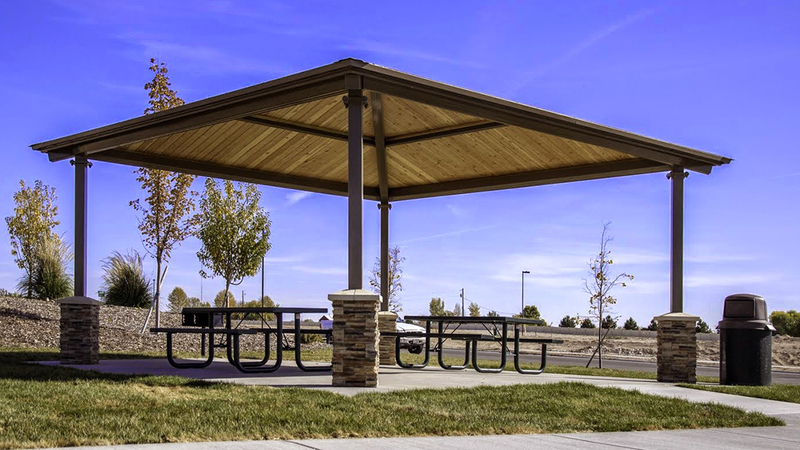 Our durable and attractive pavilion structures make a great addition to nearly any outdoor space. 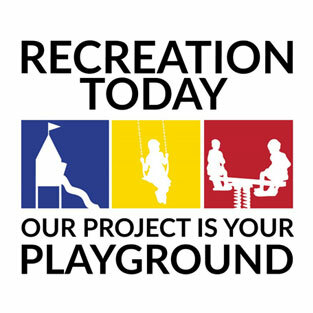 We offer a wide variety of styles, sizes, and colors so you can choose the one that best fits your space. 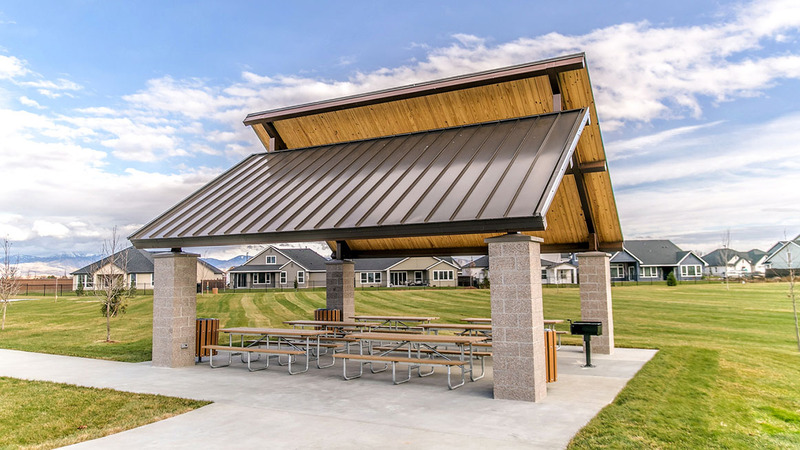 Parks and Recreation departments looking for an outdoor pavilion consider several things, such as size and quality of materials. 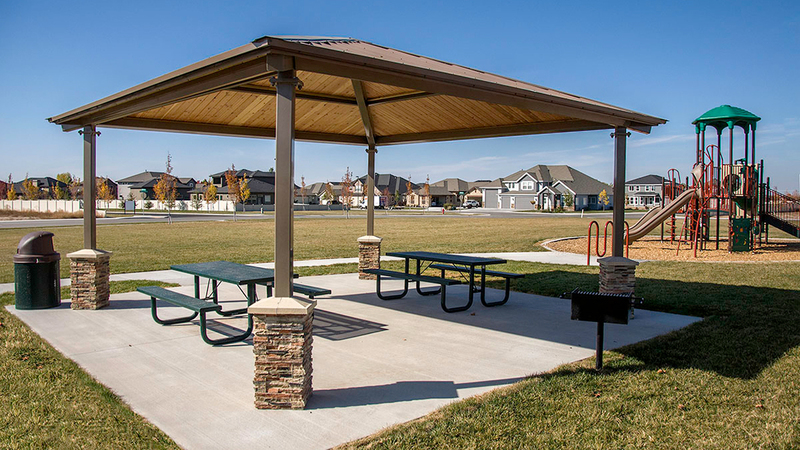 Our park pavilions made up of all-steel beam posts with either 24-gauge or 29-gauge (tongue and groove) roofing.